Like two drops in the ocean, the Liancourt rocks cover an area of 0.18 square kilometers right in between Japan and Korea. 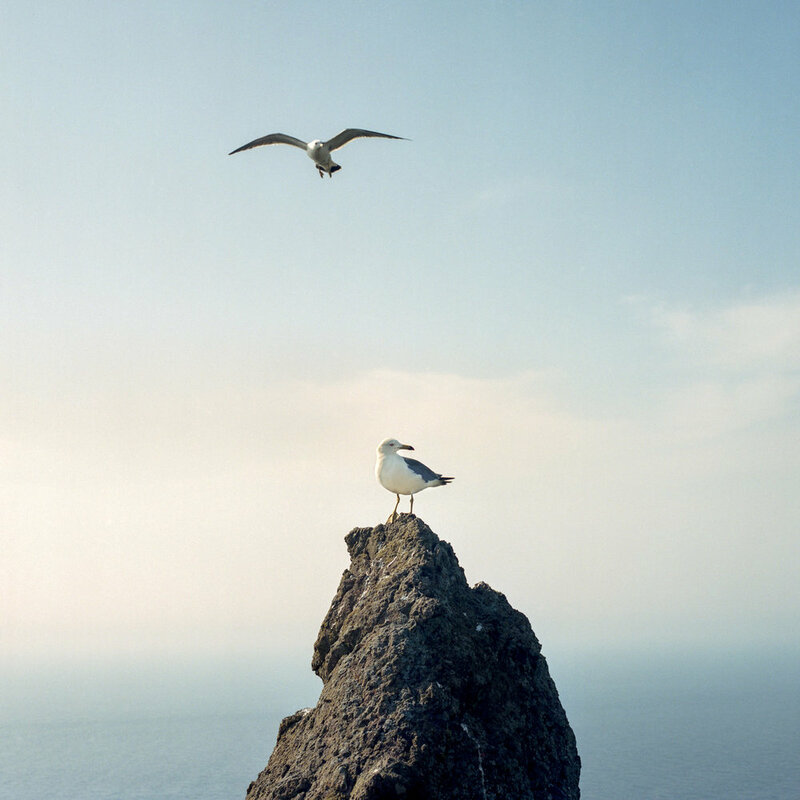 Mostly inhabitable, the islands are at the center of a territorial dispute between the two countries that call them respectively Takeshima islands and Dokdo islands. Over the last century, the rocks have mostly been used as fishing grounds for international ships; hence the name given by a French whaling ship that came close to being wrecked on the rocks in 1849. 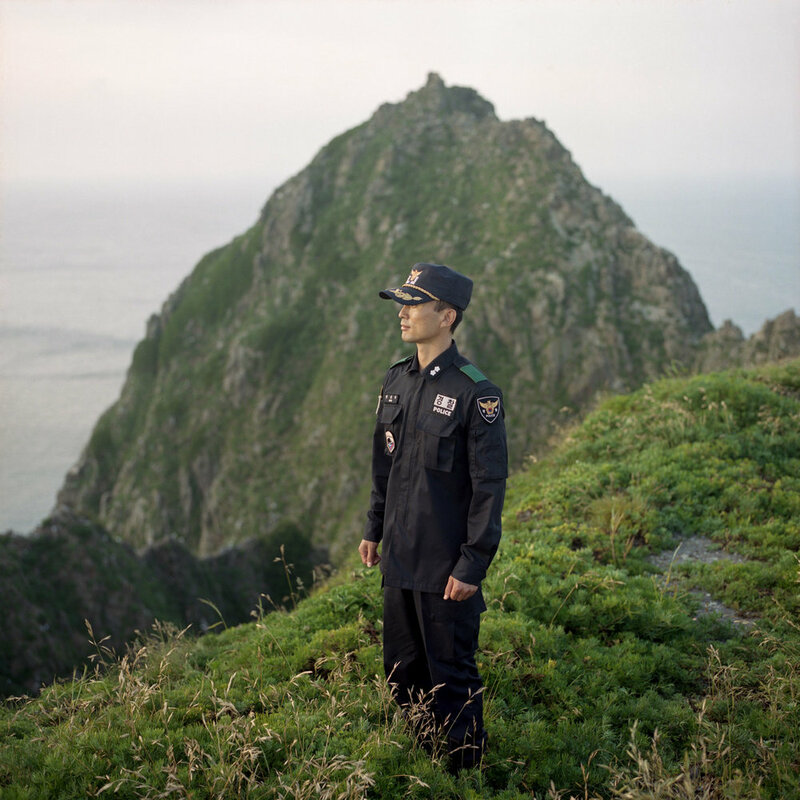 After the second world war, as the Japanese retreated from 35 years of Korean occupation, the Koreans took over the eastern island, leaving some coast guards behind to stake their claim. 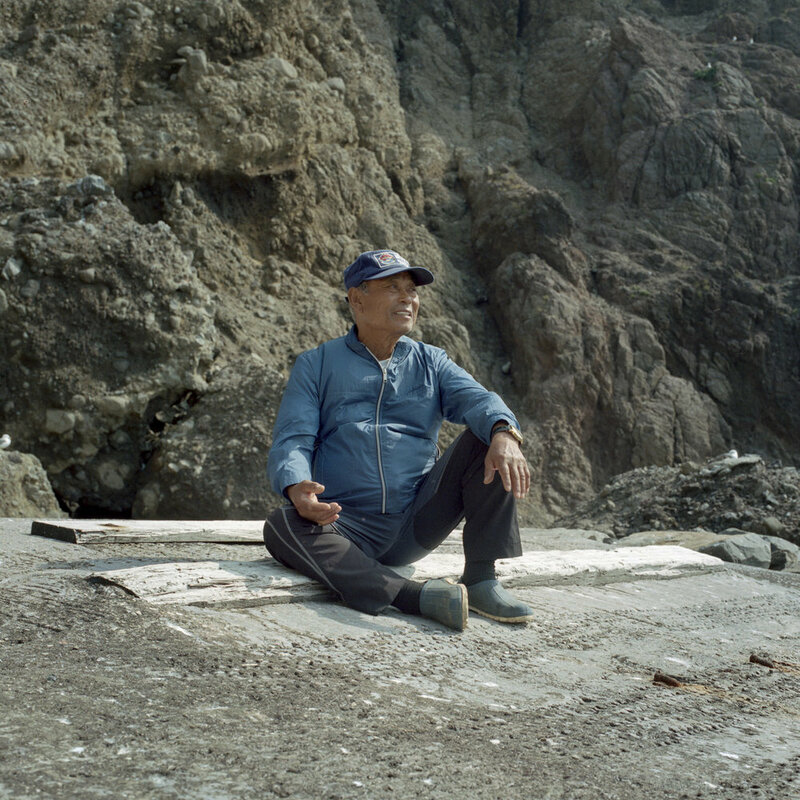 In 1965 a South Korean fisherman started to build his house on the West island and became the first official residents. Nowadays, his old fishing partner Kim Sung-do is the only remaining permanent resident. Together with him two officials from the Ulleungdo government as well as 40 police / coast guard are on rotation occupying the islands part time. The activities on the islands are quite scarce and when the sea is capricious (which is most of the year), it is impossible to leave the islands by boat. Kim Sung-do, now 79, fishes very rarely - he is thinking of going back to a bigger island where his sick wife now lives full time. With him gone, South Korea might lose the argument of having a permanent resident on the rocks. Since 2004, tourists are allowed to come and stay on the dock of the island for 30 minutes only . 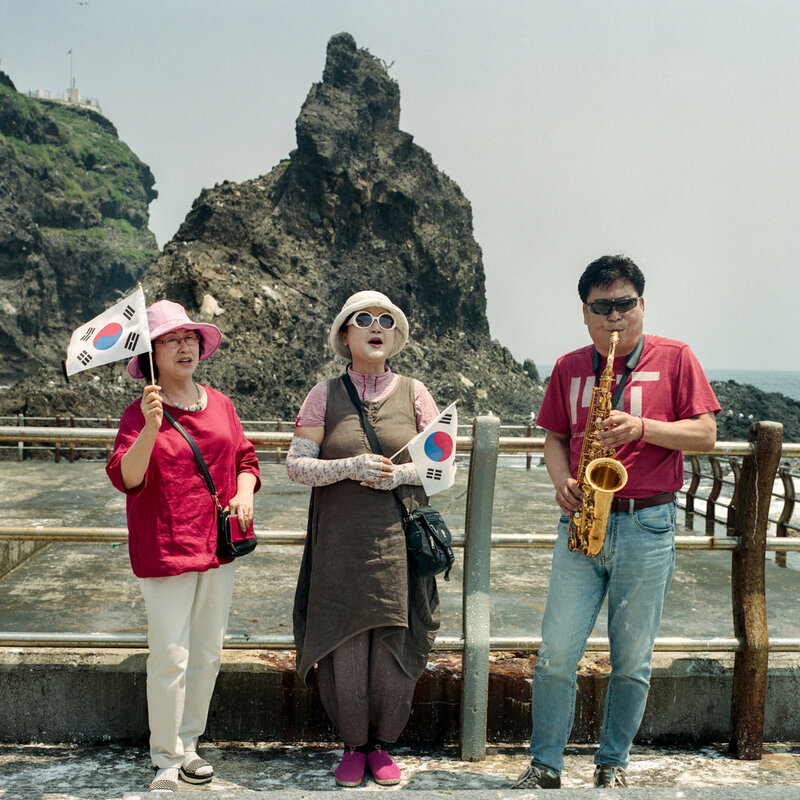 Every summer, hordes of patriotic South Korean travellers proudly set out for the islands, even though, since the weather is quite unpredictable, not all of them end up making it to the rocks. 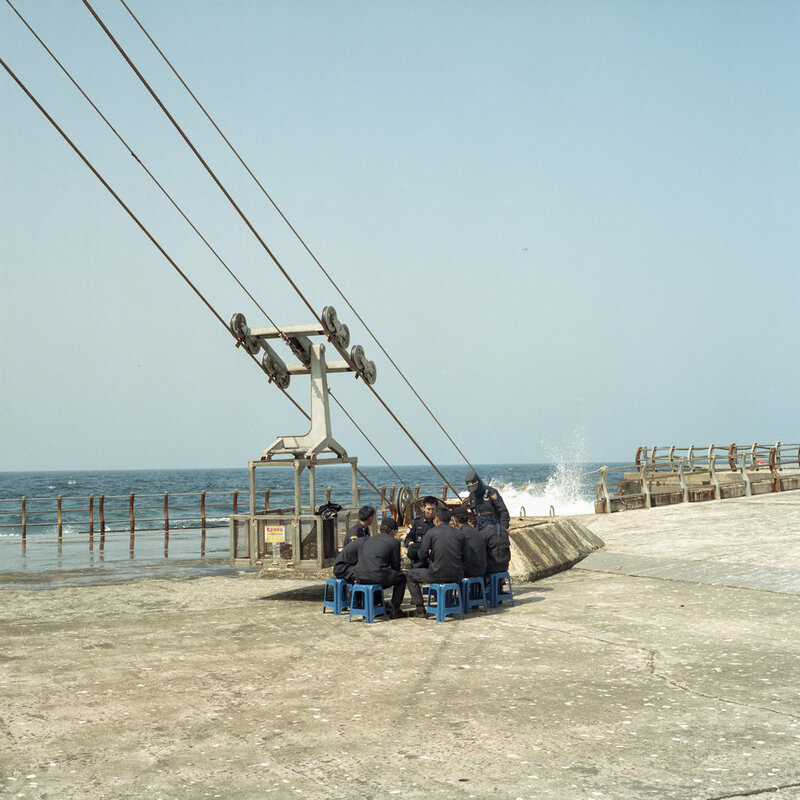 For their precious half hour, they walk around the small docks parading South Korean flags, taking selfies,singing patriotic songs and praising the local guards for their duty. 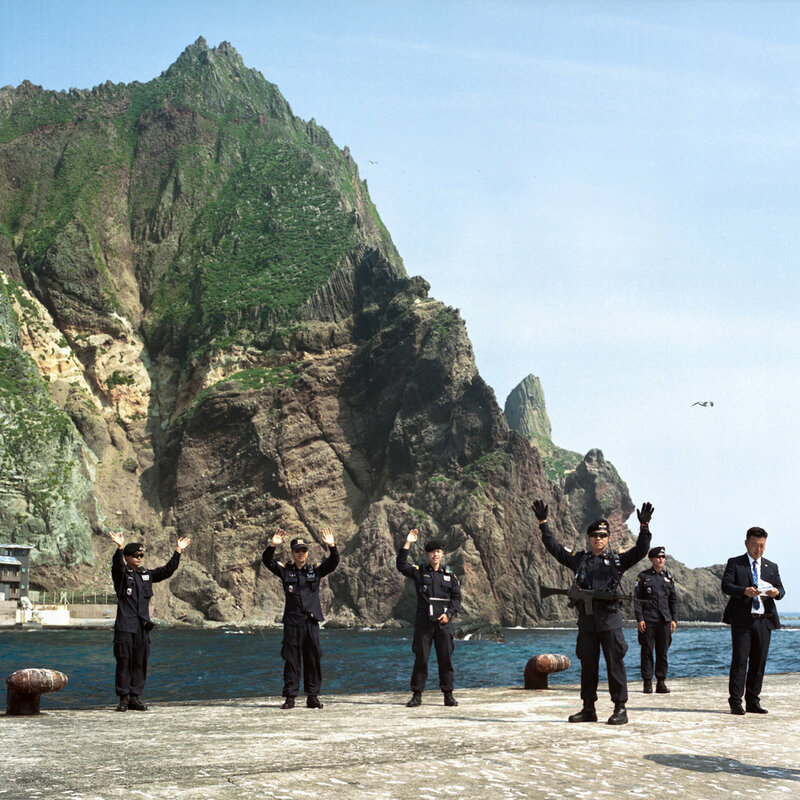 Back on the mainland, Japanese and Korean media maintain property of the rocks. 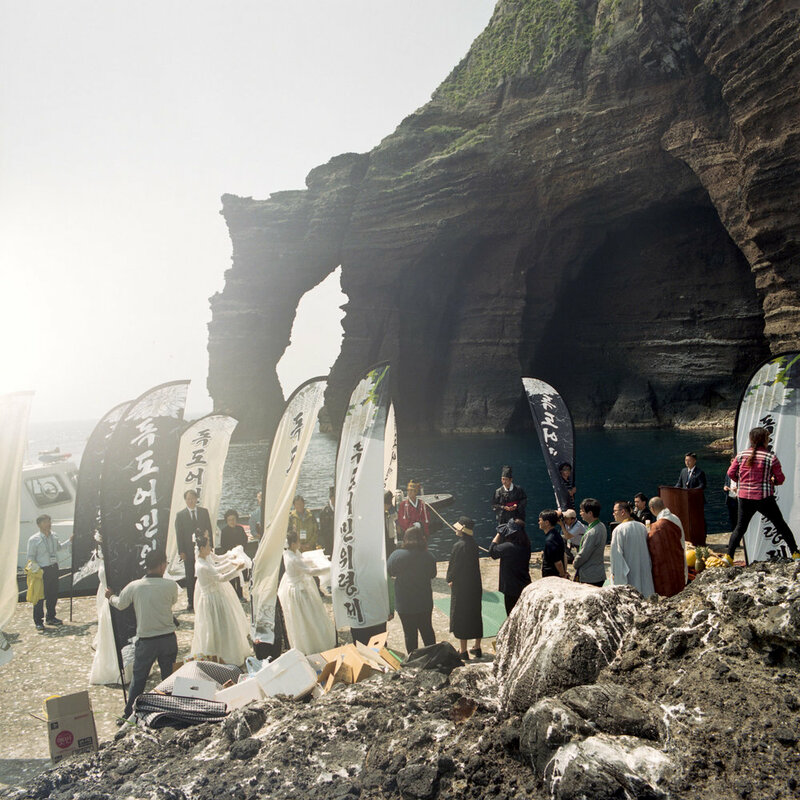 South Korea organises numerous events and television clips advertising the islands as the most beautiful in Korea. This story of two insignificant rocks in the middle of ocean highlights the deep scars that still exist between the two countries. Scars from a not so far away history of war, occupation and unresolved moral issues. 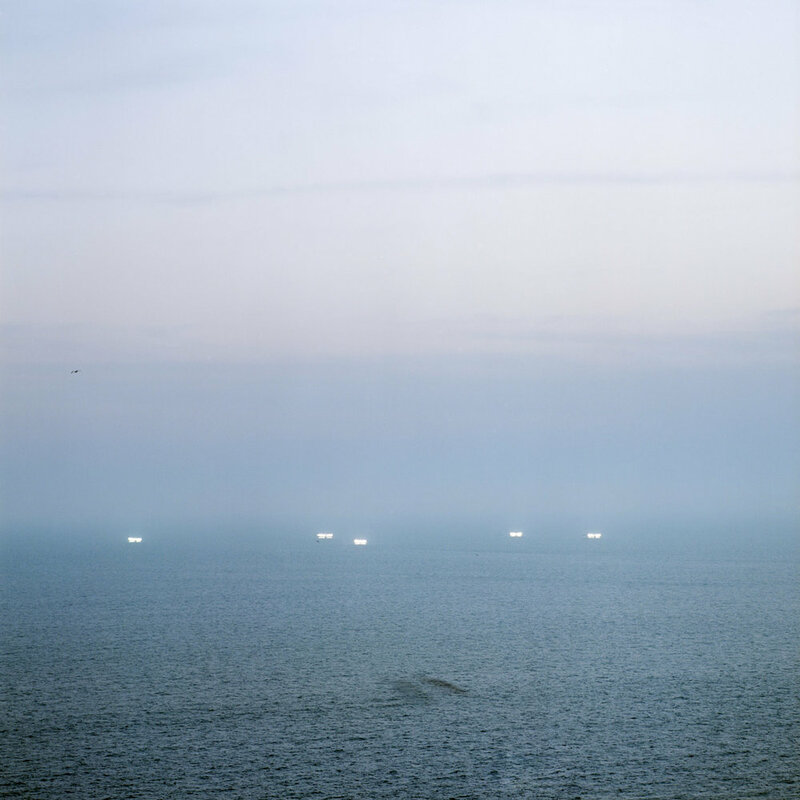 As I was told by one of the visitors during his visit: “It’s impossible for a foreigner to understand the reason why we come here - it is a Korean’s duty to visit the Dokdo islands at least once in your lifetime“.